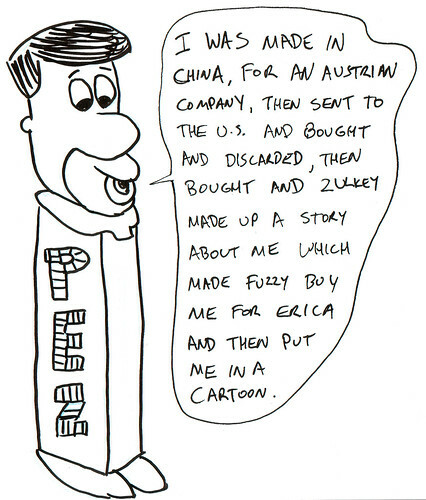 Erica likes Pez and Erica likes Claire, so it was an easy double-win to buy Fred from Claire Zulkey's story for Significant Objects. This is great! Can we use this image in a post on the Significant Objects site? Rob, please do. I've been really enjoying the stories coming out of the Significant Objects project.